Israel’s new deputy foreign minister has lashed out at the international community’s attempts to create a two-state solution with Palestine. Tzipi Hotovely told Israeli diplomatic representatives aboard that the Holy Land belongs to the Jews. The 36-year-old, who previously served as the deputy transport minister in the last government under Benjamin Netanyahu, cited a number of religious texts to back up her claim that the Land of Israel is the rightful home of the Jews. "We need to return to the basic truth of our rights to this country," she said in her speech, which was cited by AP. "This land is ours. All of it is ours. We did not come here to apologize for that." Hotovely’s comments come in the wake of reports by the French newspaper Le Figaro, which say France is proposing a UN Security Council draft resolution, to reduce a deadline from two years to 18 months for negotiations to cease concerning the creation of a Palestinian state. The Vatican state, which is not a member of the UN, became the latest country to recognize the state of Palestine on May 13. Israel was scathing of the move, saying it damages the prospects for peace in the region. Overall 135 members of the UN, recognize Palestine as a state. The Orthodox Jewish MP, who is a hardline supporter of Israel’s right to build settlements in the West Bank, which has been condemned by much of the international community. During her speech, she also mentioned that she would try to get international recognition for the West Bank settlements. "We expect as a matter of principle of the international community to recognize Israel's right to build homes for Jews in their homeland, everywhere," she said. Hotovely also managed to reword a slogan from the Transportation Ministry, where she used to work: “On the road, don’t be right, be smart.” She added that for too many years, diplomats in Israel have tried to be smart, rather than be right. “Many times it seems that in our international relations, more than emphasizing the rightness of our cause, we are asked to use arguments that play well diplomatically,” she told ministry employees, as cited by the Jerusalem Post. “But at a time when the very existence of Israel is being called into question, it is important to be right. Problem isn't that Hotovely believes in a biblical right to Israel. It's that she thinks the Torah makes for decent diplomacy. With Netanyahu also Israel’s current foreign minister and in charge of foreign policy, Hotovely will manage the ministry’s day-to-day functions. During campaigning for the recent Israeli elections, Netanyahu angered his Western allies by saying that the creation of a Palestinian state would not be permissible during his time as prime minister. Netanyahu’s comments led to a number of prominent former EU officials, which included the ex-foreign and prime ministers of France, Spain and Sweden to write a four page letter to EU policy chief Federica Mogherini, outlining how they have little faith in the peace process between Israel and Palestine and that more pressure should be put on Israel. 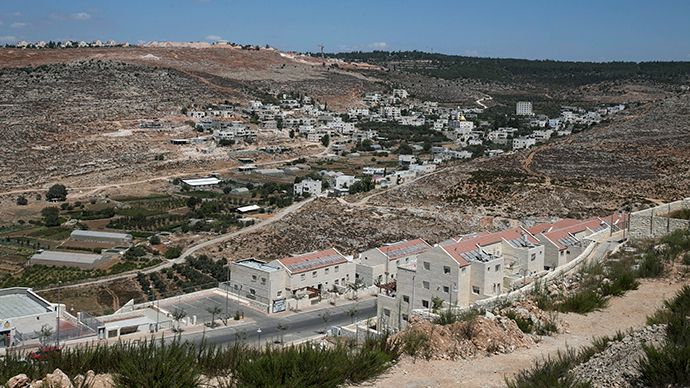 Over 500,000 Israelis currently live in settlements in the West Bank and around East Jerusalem which were built after the 1967 Israeli occupation of the Palestinian territories. The occupied territories of the West Bank and the Gaza Strip have been seeking full statehood and independence from Israel for five decades.